1 pedestal sea green vase Here's a similar one: (Ceramic Urn). 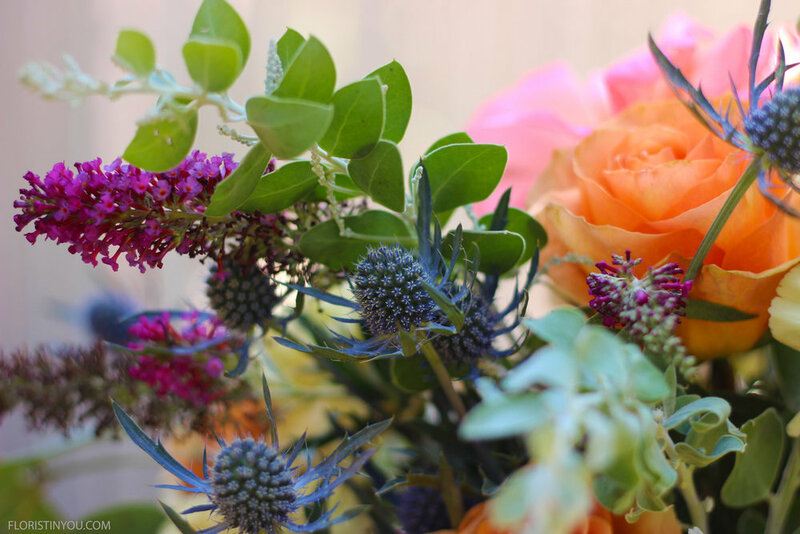 Want to learn how to make a garden arrangement? Well it's easy. Just follow the instructions with photos below. You can vary the type of eucalyptus and other greens that you work with, and you can use any berry that is in season. 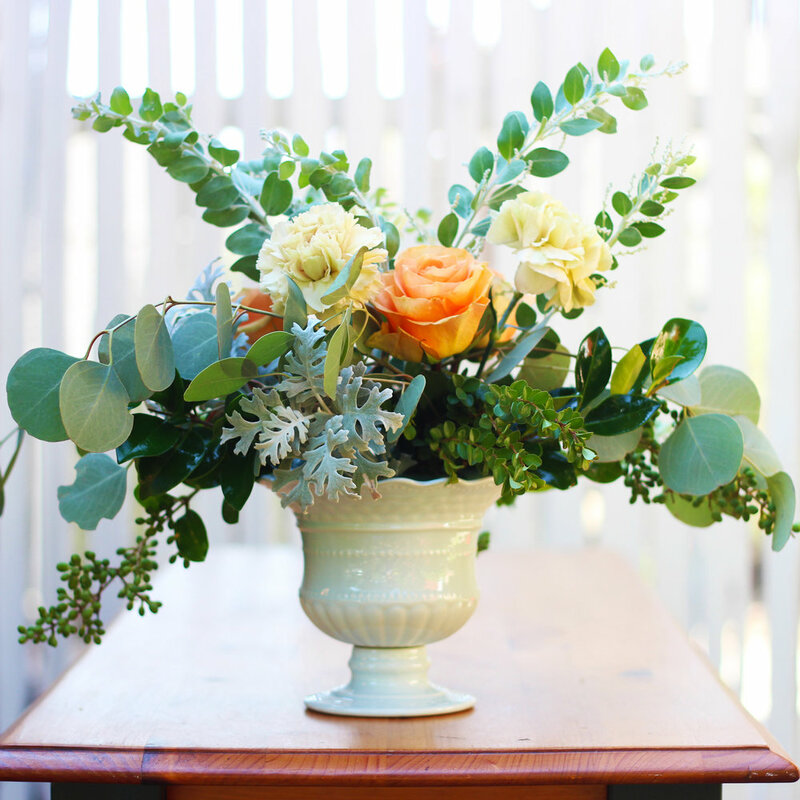 The color pallet in this arrangement has muted colors, except for the pop of color with the Double Delight anchor garden rose in the bottom center of the arrangement. You can buy an urn similar to the one shown (click here). Once you have you urn, flowers and supplies, you are ready. Shall we begin? Use a produce knife to shape your floral foam to fit into the urn. Fill with water until foam does't accept any more. Wash the leaves of any greens from the garden. Spray hard green leaves (Privet Berry leaves) with Green Glow. Select Eucalyptus that will hang down. Insert on opposite side where it will hang down. Insert Privet Berry one on each side, 1 in back. This will be your FRONT. Insert eucalyptus. Insert 3 Pear Silver Acacia Foliage. Add 3 Privet Berry stems without leaves. Add 3 orange Roses and 3 Dusty Miller. Add 3 Sea Holly,3 Astrantia Rosea, 3 Butterfly Bush, 3 pink roses with largest as anchor. Then fill in with Carnations. The Double Delight Rose is amazing. Your garden arrangement is complete. Enjoy!